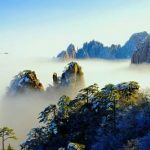 Into China Travel is a leading tour operator in China. Offering excellent service is extremely important to us. We promise to give our all to make your trip to China a wonderful experience. We want to leave you with great impressions of your China trip. Below are some things our past clients have said about our services and China tours. I just wanted to say that we have enjoyed both tours very much. Everything was good: the guide, the driver, the places of visit, the food at the restaurants etc. We could not have asked for more. I will definitely recommend you to my friends and will use you again if any more of my family come to visit me. Thank you once again. I hope this email finds you and your family well. The month of December is full of holiday parties here in Seattle and tonight is a very special one with colleagues from work. One of our traditions is a steamed persimmon pudding/cake. I wanted to say how grateful i am to you for having arranged my tour of Yunnan. It was amazing and I am still relishing the memories. I hope that I can someday return tom China again. 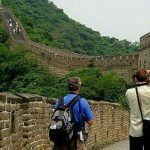 This is to let you know that I greatly enjoyed the tour to the Great Wall and Ming Tombs. Henry was an excellent guide – very knowledgeable and taking good care of the group. I liked very much your agency and will recommend you to friends that are planning to visit Beijing. We got back from our daytrip to Mutianyu, which has been extremely pleasant thanks to Mr Feng and your help. My husband paid the 1000rmb by WeChat transfert to Mr Feng. All 5 of us would like to express our gratefullness for your smooth and flexible organization – that is definitely an excellent experience we will share with our friends in Shanghai or France, who want to visit Beijing region. Lee was thorough & very passionate about explaining details of the Ming and Qing Dynasties at the imperial palace The Forbidden City, Temple of Heaven and the Summer Palace that we toured with him today. We also enjoyed the Chinese lunch… So thank you very much for working with me all this time and making our First Day in Beijing an enjoyble start of our 10 day China trip. Sorry it has taken me so long to contact you. I want to thank you for your help. I was in Beijing in September and October. You helped me get to the Beijing Opera. Yoyo was great, the driver was great, and I enjoyed the opera. Thank you for making it possible. I am very grateful. Thank you. sure to recommend your company to my friends. 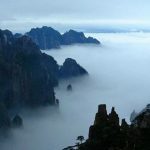 Thank you very much for planning our tours of Zhangjiajie, Furong Town and Fenghuang and for your kind patience with the repeated changes I made along the way before finalizing our itinerary; as well as for your kind suggestions . I have never walked and climbed so much in my life. The weather had been very kind to us throughout. Your recommendation for this period of time to visit is a right one. Of the 3 hotels we stayed in; Zhangjiajie International Hotel and Phoenix Grand Hotel were excellent. The rooms were very clean and the service excellent. However I think you should avoid using Zhuanjiacun Hotel. It is old, the wall paper was peeling, the rugs dirty and they don’t even provide any soap and bath shampoo nor free bottled water. When we called the front desk they told us we will have to pay if we want bottled water. 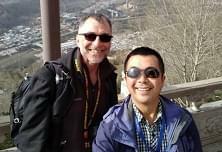 Eric did a good and thorough job bringing us around Fenghuang and, because of the amount of time we took to explore each location, made it a point to ensure we cover the key points of interest in Zhangjiajie and Furong Town . We really exercised him and he was quite surprised with what we managed to do. We walked half way to Tianwen Platform but had to turn back because of work in progress and so we went to Luisha Waterfall instead. A good 4 to 5 hours of walking. I have not been back to China for quite a while. What impressed me most from this visit is that the people are very willing to give up their seats for me ( I must look really old ) and using their handphones to assist with directions. The people’s dynamism was clear for all to see. Thanks again for your help with arranging our tour. Thank you for your tours to Great Wall n City. It was well worth our time …even though the rainy day in the City made photos of us look less happy! Need blue skies! Both your staff…Yoyo n Selena n the drivers were excellent representatives of your company. They put in a lot of effort to ensure all went so well for us. Please convey our Thanks to them. I would like to “thank you” for your assistance in making our trip very memorable and enjoyable. First of all, your two guides, Sabrina and Lee, did an excellent job in sharing their knowledge, and their enthusiasm in their work. They are two of the reasons why i would recommend your company to others and social media. The tour was very well organized with the attractions ( Great Wall, Forbidden city, Summer Palace, etc. ) and the tours ( herbal medicine, pearl factory, jade factory, tea ceremony ) and the lunch well spaced. You were very helpful when we has a driver ( Mr. Liu ) who didn’t speak English and he contacted you many times to help in translating. I do have a suggestion. The weather was very hot and humid and we asked the driver several times to increase the air condition in the bus, but the driver never did so. It was uncomfortable at times in the bus. The driver needs to be a little more friendly even though he doesn’t speak English. It doesn’t hurt to smile. assistance during our trip to Huangshan. He was not only professional, well-spoken and very knowledgeable but made every effort for us to feel welcomed and comfortable. us on food in all the restaurants. He was friendly and entertaining. The best guide ever! We had a very enjoyable trip to the mountains and memorable experience. We would recommend your company services and we wish your company prosper. It was a very wonderful trip. we had fun and the tour guide was very nice and helpful. Just wanted to let you know that our tour guide Liu was fantastic! We both thoroughly enjoyed our day with him and got to see everything we wanted to. His English was great and he had the right balance of guiding/knowledge and letting us have the time to explore/take photos etc. He was also a very personable chap who helped us out right to the end with getting our train tickets and sending us off in the right direction. I will be recommending your services to everyone I know heading to China in the future. Please pass on our heartfelt thanks to Liu (hope I have spelled his name right!) for a wonderful day in Xian! Thanks Peter for all your help in organizing wonderful tours in Beijing and Shanghai. Mr Jack was very helpful and knowledgeable in taking us around Shanghai. I am to fly out of Shanghai back home to Sydney. Thank you for arranging the tours promptly. We have enjoyed sight seeing in Beijing. especially her braised beef gravy wit carrot n potatoes. to get together first n went on explaining. We also enjoyed the acrobatic show felt it was v good. propose it to all my friends. I am very sorry it has taken so long to respond. By the time I returned home to Seattle I had to again travel for a week to California and then the chores and duties began to overwhelm me ( and of course too many email communications). I am very grateful to you for having arranged the tour of Mt Wutai, along with the visit to Datong, Pingyao and the sites in Shaanxi province. I could not have asked for a better tour guide than Jack. He was amazing and the most likeable human being I have met in a long time. I hope me recommendation persuades you to call upon him in the future for tours. The best word to describe my trip was magical! Jack did his best to help me acculturate to the local food, sites and Buddhism. We ate really really well. He knew all the local “hole in the wall” restaurants and I especially like all the noodle houses we ate at. I cannot remember the drivers name but he also was amazing. Patient, safety minded and always respectful. I have no additional suggestions as the tour is definitely spiritually based. Perhaps, including some more modern attractions or some live entertainment might be nice. however, for me. what I received far exceeded my expectations!! I am very appreciative of the time (5 days!!). The tour guide Jack from the very start of my journey was determined to help me find the source of my request to visit Wutaishan. I am grateful for for the patience. He helped me manifest my vision quest of going to Wutaishan. Very good command of English, knowledgeable of history, language and religion. I would highly recommend his services to anyone. Hopefully, Manjushri will bless you with increased wisdom. My friend and I decided to book a tour for the next day to Mutianyu and Ming’s tomb. We made a last minute call to Peter and he attended our request with utmost patience and was very professional. The next day, our tour guide Linda, came to pick us up from the hotel for our tour. The whole journey was really pleasant. The other travelers were really nice people too! I would definitely come back for more tours should i come to China. Linda’s spoken english was good, service was good, and most importantly, no hidden charges for their services! Thank you for information and generally for everything. Good morning. I’d just like to say everything went well with my trip. Thanks again for the arrangement and looking forward to use your agency again when back to Beijing next time. It was indeed a wonderful and well-planned, on-schedule trip. Thanks to Peter and compliment to english speaking tour guide YoYo. Thanks for the integrity and honesty. Cost (tipping and cable car) not included already mentioned upfront. Good. will keep hard working and help them enjoy a good experience in the country. Wish the life is happy!